This is actually an older work, but also one of my favorites, so I was surprised to see it was not yet in my portfolio here! So at least I've remedied that. 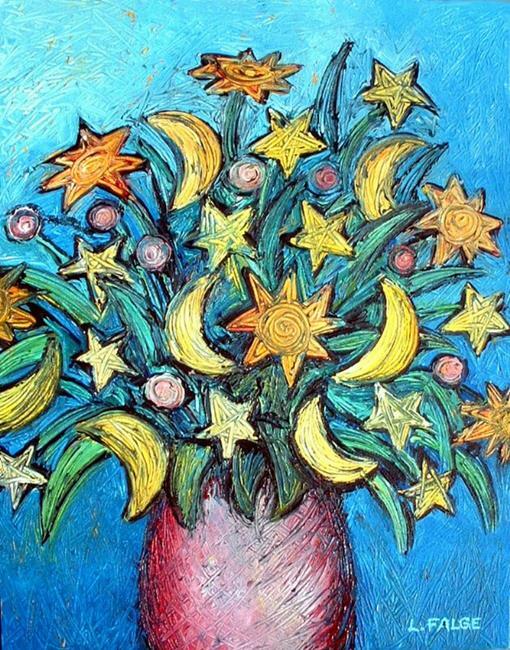 This celestial bouquet is a mix of suns, moons, and stars -- guaranteed to brighten any room.